Are your regular date spots getting a little tired? Check out some of these great date ideas for Fall with some of our cultural partners! American Ballet Theatre celebrates the opening of its Fall Season at The David H. Koch Theater with the Fall Gala, featuring the American Premiere of renowned international choreographer Benjamin Millepied’s Daphnis and Chloe. Millepied re-imagines this timeless tale of young lovers who overcome all obstacles to be together through a contemporary lens, with minimalist sets by French conceptual artist Daniel Buren and choreography to the ground-breaking masterful score by Maurice Ravel. The evening will also include a pièce d’occasion by ABT Artist in Residence Alexei Ratmansky featuring ABT’s Jacqueline Kennedy Onassis School and a Company Revival of Frederick Ashton’s Symphonic Variations. An elegant black tie dinner dance will follow the performance on the Promenade of the David H. Koch Theater. Tour the exhibition at the spectacular Neue Galerie followed by lunch, dinner, drinks, or Austrian coffee and cake at Café Sabarsky. The Met presents its spectacular Zeffirelli production,with multiple excellent casts: Ailyn Pérez and Kristine Opolais are paired with Dmytro Popov, Piotr Beczała, and Michael Fabiano, as the young Parisian lovers at the center of the story. Susanna Phillips, David Bizic, and Massimo Cavalletti also star. Carlo Rizzi and Marco Armiliato conduct. 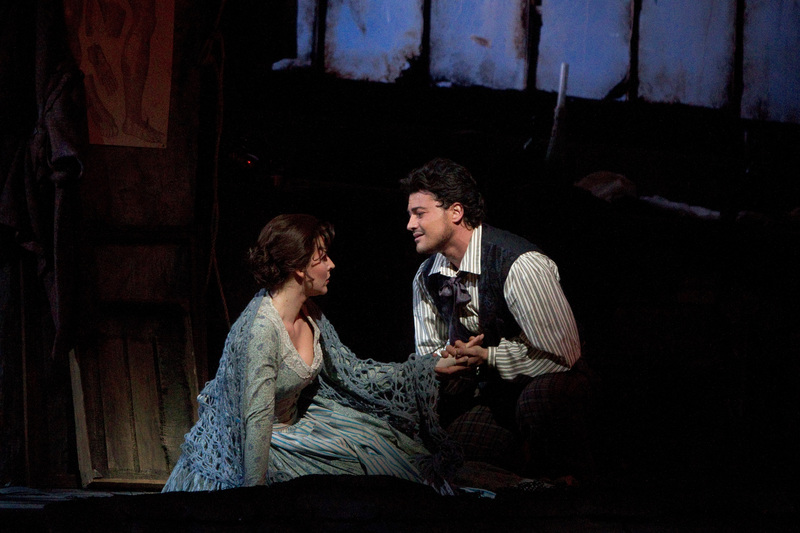 Taken during the performance on October 16, 2010 at the Metropolitan Opera in New York City. Join young patrons for a night in disguise. Enjoy ballet, hors d’oeuvres, and dancing at the Masquerade Party on the Promenade after the evening’s program featuring Dances at a Gathering and Firebird. Writer/performer Isaac Oliver‘s debut collection of essays, Intimacy Idiot, was hailed as “hilarious and unsparing” by New York Magazine, “transcendent” by Entertainment Weekly, “surprisingly moving” by Kirkus, and named one of NPR’s Best Books of 2015. After two sold-out engagements last year, Oliver returns to Joe’s Pub for a yearlong residency and a glass of pink wine, debuting brand-new stories as well as sharing old favorites. Fred Hersch is a Jazz pianist who is widely recognized for his ability to steadfastly create a body of original works while reinventing the standard jazz repertoire—investing time-tested classics with keen insight, fresh ideas, and extraordinary technique. This event takes place on a K2 Friday night, so the vibe is a little younger. 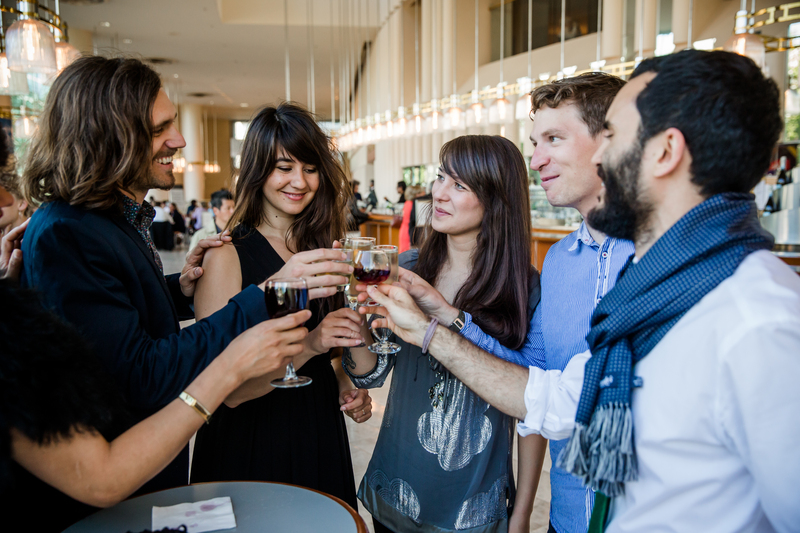 There are drink specials from 6-7pm at the K2 lounge and admission to the galleries is free from 6-10pm. Don’t miss a version of Shakespeare’s great romantic comedy Twelfth Night from India’s acclaimed Company Theatre Mumbai as part of the Chicago Shakespeare Theater’s celebrated yearlong Shakespeare 400 Chicago festival in 2016. Presented in Hindi (w/ projected English translation) and exploding with energetic musical performances and colorful, ornate costuming, this production would make a lovely (and very cultured) date night out at the theater. Hubbard Street Resident Choreographer Alejandro Cerrudo unveils his 15th original creation for the company, alongside new work by the Harris Theater’s inaugural Resident Artist, Brian Brooks, and a spellbinding pair by master choreographer Jiří Kylián: Sarabande and Falling Angels. Israeli mezzo-soprano Maya Lahyani takes the stage with LINES Ballet for a world premiere collaboration. Called a “resplendent” vocalist by the San Francisco Chronicle, Lahyani is a soloist with the Metropolitan Opera and recipient of the prestigious Adler Fellowship at San Francisco Opera. Lahyani and the dancers are joined by guest artist Meredith Webster, a beloved LINES Ballet company member for nearly a decade, who returns to share a new solo by Alonzo King. The fall home season also heralds the revival of Meyer, featuring a score by acclaimed classical bassist Edgar Meyer. Meyer has been hailed by the New Yorker as “the most remarkable virtuoso in the relatively un-chronicled history of his instrument.” In response to Meyer’s signature combination of bluegrass, jazz, folk, and classical music, King’s choreography—originally created for the company’s 30th anniversary—is alternately wistful and jubilant, infused with a playful sense of wonder. Set before Academy Award-winning designer Jim Doyle’s striking backdrop of synchronized water, Meyer is a lushly-textured landscape of movement and sound. Composed in a burst of inspiration in the sun-drenched Austrian countryside, hear Brahms’ Symphony No. 2 performed by MTT and the San Francisco Symphony. Enjoy the joyful energy evoked by Brahms alongside Mozart’s stormy Piano Concerto No. 20 with acclaimed pianist Rudolf Buchbinder. Free and open to the public. Bring a picnic on the grass and byob! Film screening of Guillermo del Toro’s Pan’s Labyrinth on film. The film was well received at Cannes, and went on to receive numerous awards, including Oscars for Cinematography, Make-up, and Art Direction and nominations for Best Original Screenplay and Foreign Language Film. The most famous love story in the world and one of Shakespeare’s early poetic masterworks, Romeo & Juliet follows two star-crossed lovers from love at first sight to eternal life hereafter. Caught tragically between two feuding families, alike in dignity and in enmity, Shakespeare’s immortal young lovers try to fashion a new world amid the violence of the old, but cataclysmic choices and tragic twists propel them toward a final confrontation with fate. After helming the highly-lauded productions of Kiss Me, Kate and Man of La Mancha, Associate Artistic Director Alan Paul directs his first Shakespeare production at STC—what is sure to be a spectacular, contemporary and heart-rending vision. The Washington Ballet – Studio Company Performance: NEW WORKS! New choreography is like new romance – fresh, inspirational and invigorating. Experience the thrill of choreography premieres from TWB Company dancers Francesca Dugarte, Jonathan Jordan and Daniel Roberge.